There’s a mistake that I see bloggers, website owners and even web developers make all the time. The problem is thinking that traffic should come before anything else. If your website isn’t setup to convert visitors into subscribers or buyers then you’re doing it wrong. Don’t get me wrong, you need traffic in the end but if your website isn’t converting then you may as well just flush your money down the toilet. There are a lot of different tools on the market that can help you get your conversion rates up and in this post I’m going to show you exactly what those tools are. I get a lot of questions from both clients and readers of my personal blog about how to improve conversions. Since I use WordPress for almost everything when it comes to my blog and also a lot of our clients are moving to WordPress based systems I tend to write with a bias towards WordPress. So for this post I wanted to keep WordPress out of it and take a look at tools that don’t need WordPress. Although if you’re a WordPress user and now thinking you won’t get anything out of this post, there’s no need to worry because all of these tools can be used with WordPress if that’s what you use. Below, you’ll find everything from data capture and landing page tools to split testing and user feedback tools. One of the main reasons why most websites don’t convert is because there isn’t a clear call to action (CTA). A call to action doesn’t look like much but without them you’re going to struggle. It could just be a button on an opt-in form asking users to sign up or it could be a buy now button for a product. It could even be a download button for a free report. Whatever your CTA is, it needs to stand out and be clear so your visitors know exactly what you want them to do. Lead Converter is a very useful tool that you can use to display your calls to action within pages and as a lightbox popover along with a number of other positions on your website. It’s also possible to use this tool to create surveys which can come in very useful (I’ll talk about some specific feedback tools in a moment). You also get real-time analytics so you can see exactly what’s happening with your campaigns. One statistic that has been going around recently is that over 70% of your visitors will never return to your website. 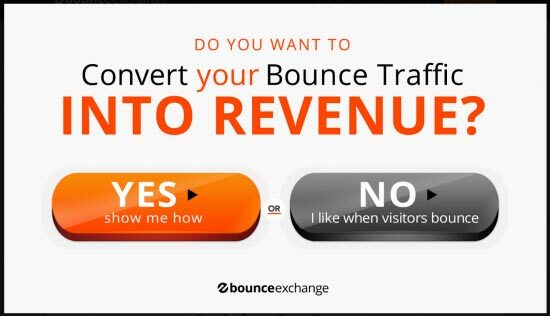 Bounce Exchange uses ‘exit intent’ technology. This means that when a visitor is on your website and goes to leave the page – a popup will be displayed in an attempt to capture their data. There are a number of platforms on the market that use this technology but the big difference here is that you get a dedicated ‘Conversion Director’ to take care of the work for you and help you get the most out of your campaign. This is definitely reflected in the price but having someone who works with this type of thing every day is a valuable asset. 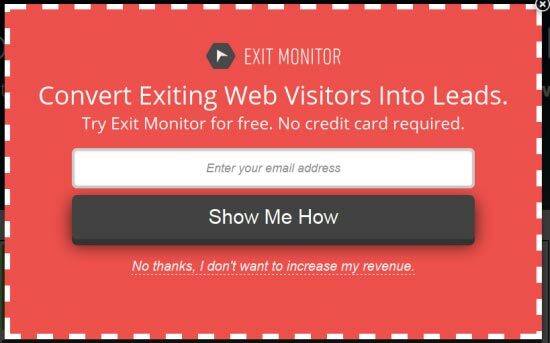 Exit Monitor is a great alternative to Bounce Exchange that comes in at a much lower price point because you don’t get the ‘Conversion Director’ to work on your campaign. You can also integrate various applications – this makes it easy to tie in your mailing list provider. Editing opt-in forms does require the use of HTML/CSS. Analytics packages and other usability related tools can tell you a lot but the data you get is quantitative. And you need that data but you also need to be sourcing qualitative data. Qualitative data like feedback from surveys and that type of thing will give you a real insight into exactly what your websites visitors are thinking. Understanding what your visitors want is essential in order to convert them into leads. 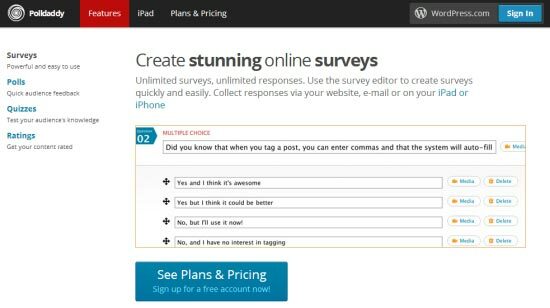 Survey Monkey is the tool that I use to collect feedback from readers of my blog. It’s got a straight forward tool for building surveys that get as complicated as you want to make them. You can then share the survey through a special URL or even embed it on your site. It’s also possible to collect data via Facebook. On the paid accounts you get advanced customisation and even A/B testing on some accounts. Polldaddy is another popular surveying tool – it can also be used for polls, quizzes and ratings on your content. It’s owned by Automattic, the company behind WordPress so you can rest assured that it’s well maintained. The great thing about Polldaddy is that even the free account doesn’t have limits. Paid accounts will allow custom browsing, custom URL’s, printable PDF’s and a number of other features. 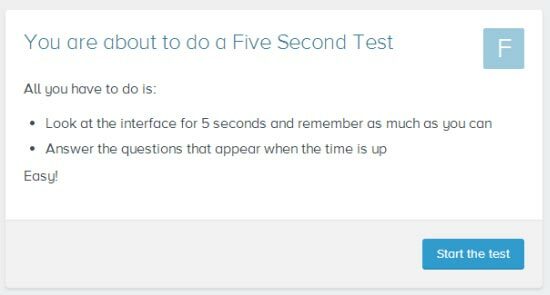 Qualaroo is a great tool that will allow you to get a lot more responses to your survey by displaying it in a popup widget at the bottom right hand corner of your website. You can ask an open ended question or you can display multiple choice options and get the information you need. There’s even a library of questions for you to include and the popups displayed can be customised with your brands logo. 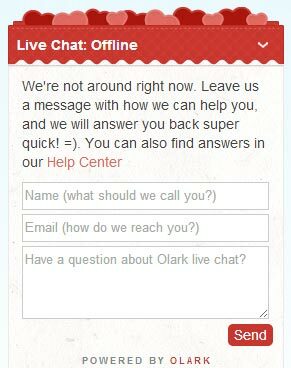 Olark is a live chat widget that you can display in the bottom right hand corner of your site. It’s great at grabbing your visitors attention and get them talking to you. You can use it to offer live support and choose to switch to offline mode when your team are busy or whenever you prefer to. When offline mode is enabled it will essentially act as a contact form which makes things much easier for your visitors – they won’t have to hunt around your site for a way to get in touch. 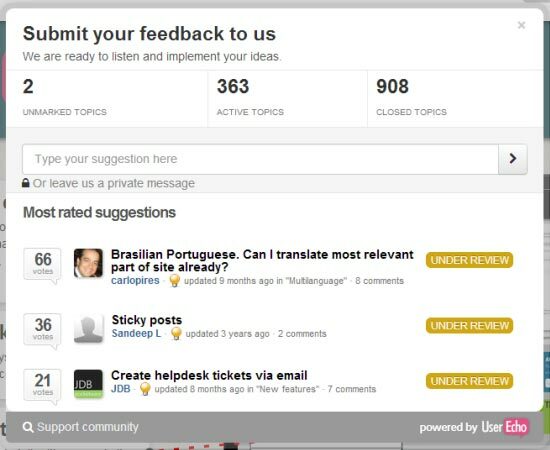 User Echo is another great approach to customer feedback is the use of support communities. Setting up a forum for this can be tedious but User Echo allows for easy setup and a feedback tab to be displayed at a fixed position on the side of your website. You can also use this to operate a helpdesk or live chat system to serve your existing customers better. If your visitor lands on your website and doesn’t know what to do then you aren’t going to be helping your conversion rate at all. Usability Hub provides one of the most affordable solutions to get in feedback about specific elements of your site. Just put together a few designs or a mock-up or two and you can put together a test that other users will be able to take part in. Understanding how users behave on your site is an essential step to improving usability on your website. 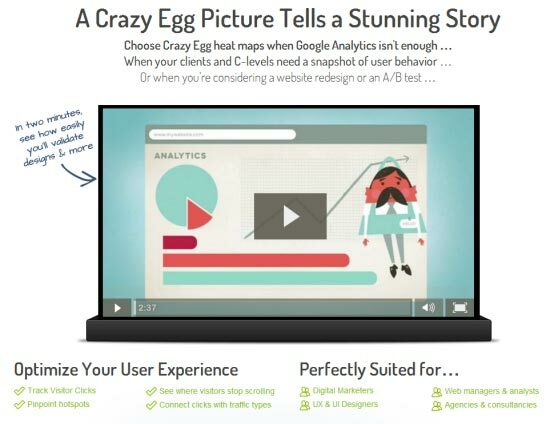 Crazy Egg will provide visual overlays and snapshots of user behaviour – this includes probably the most well-known visualisation, the heat map. There’s also click-tracking overlays and scroll maps. I love visualisations and this is another tool that gives you access to heat maps that track mouse movement and click-rates. Another thing that ClickTale does is actually record videos of how visitors interact with your site. Seeing a snapshot works well but these visitor recordings take things to the next level. They do take a lot more time to sift through though. 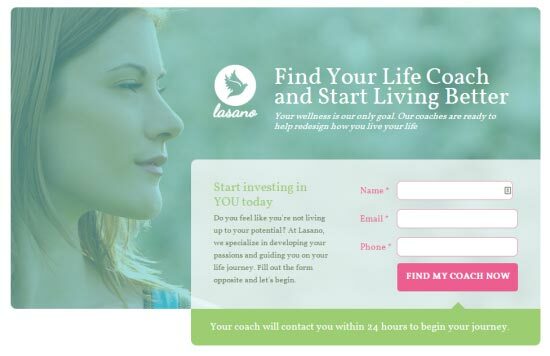 Landing pages are a necessity. Whether you’re offering a free piece of content like an eBook or you’re selling a product/service – you need to use them. By landing page, I don’t just mean any old page on your site where a visitor might ‘land’ but more specifically a page that is designed to capture information from your visitor. 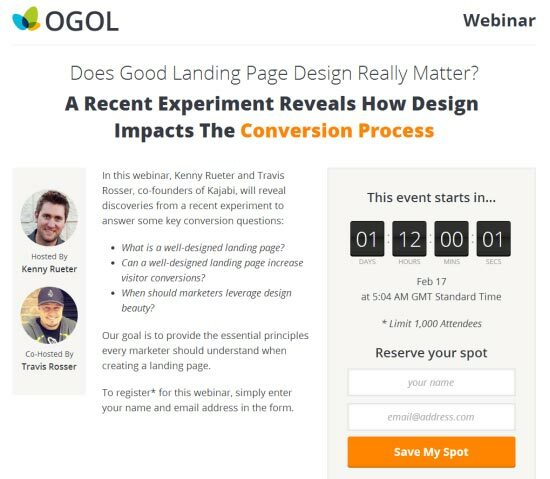 Creating landing pages that converted well used to involve hiring a designer or getting a development team involved. LeadPages can take care of the hosting of landing pages for you or you can download the code to upload the page to your site. Or you can use the WordPress plugin – either way, you’ll have a landing page fully setup in an incredibly short amount of time. The editor allows you to customise almost anything and you have access to an ever expanding selection of mobile friendly templates. One thing that I especially like is that they include a conversion rate alongside all of the available templates. Megaphone is a solid alternative to LeadPages. You won’t get some of the advanced features of LeadPages such as LeadBoxes but the price is much more affordable. Megaphone is pitched as a system that won’t let you mess up landing pages and you get real-time statistics so you know exactly what is happening. Unbounce provides you with a straight forward drag and drop editor along with a powerful form builder. This makes it easy to make changes to any of the 80+ available templates. You can incorporate social widgets, video, file downloads and other important elements. You get real-time stats built in and also the option to setup your own split tests. Note: you can now purchase Unbounce templates from Theme Forest and is the only landing page tool (at the time of writing) to support Dynamic Text replacement which allows for a great level of personalisation, learn more here. If you’re not testing designs on your website, you are missing a huge opportunity to boost conversions. You can take the data you have generated from feedback, surveys and also your analytics packages and use it to inform design changes to specific pages on your site. The biggest pain point in creating design variations for split testing is actually the time it takes to mess around with the design. Also if you hired a developer to create the site it can be very costly to get these variations created. With Optimizely you can just add your URL and the page will be imported into an editor that you can use to easily make changes and generate multiple variations for testing. Visual Website Optimizer comes in at a higher price point than Optimizely but you do get access to a lot more features so you will need to take a look at your goals and what you really need – both are really solid tools for testing conversions. There’s also support for WordPress, Joomla, Drupal, Magento and more. 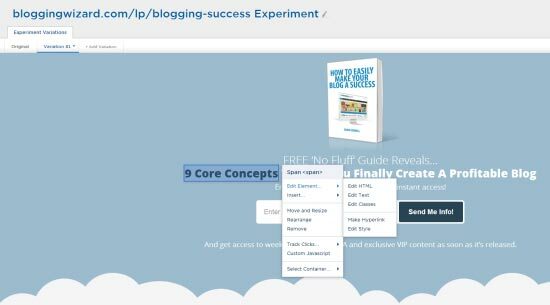 Content Experiments is a free alternative but it involves a lot more work to setup. Just add a snippet of code to your website and add the URL’s for your design variations and you will be able to split traffic between those different design variations. This is all done as visitors access the URL for your original page. It’s a great free alternative but the extra work involve means Optimizely or Visual Website Optimizer could work out cheaper in the long run. If you don’t have a way to track and monitor your conversions then you are not going to have a clue what is happening at all. These tools will help you track and monitor conversions better along with gaining an insight into what’s happening on your website. Google Analytics is an incredibly powerful tool that is available for free. The data that’s available here is incredible although the one thing that I find somewhat lacking is its ability to track traffic from social media sites (which Google Analytics does, just not as well as I’d like). Despite that, it’s well worth getting installed. Google Analytics can only tell you so much and just knowing what happened sometimes isn’t enough. 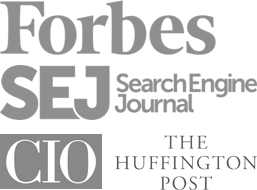 KISSmetrics will tell you exactly who did what on your website. Even if it took them months to make a purchase – you will know who made the purchase and the value of that customer along with all of their historical data. You will know exactly how they interacted with your website. 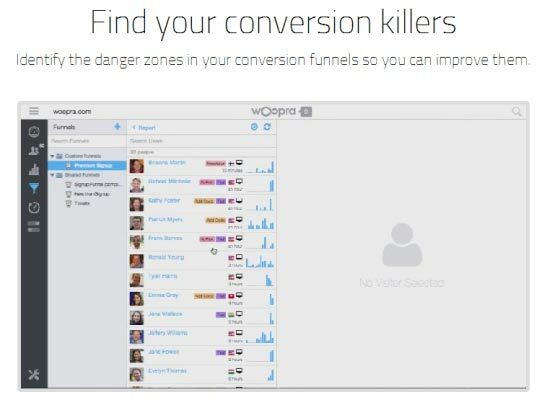 Woopra is another solid analytics package with a similar focus to KISSmetrics. This system works based on actions which could include; page views, sign ups, downloads and purchases for example. There is also a free plan available that will give you a quota of 30,000 actions/month which is a great way to get a feel for the platform. I mentioned earlier that I purposefully left WordPress plugins out of this post. Whichever CMS you are using (WordPress included) or even if you aren’t using any CMS – these tools will help you no matter what. This is not an exhaustive list by any means – but you’ve got to draw the line somewhere, right?! I would love to know which tools you would add to the list and why?